100% CANADIAN PASTA Canadian durum wheat is grown in the western prairie provinces of Saskatchewan, Alberta and Manitoba. It is the semolina from this wheat that makes 100% Canadian pasta so unique in the world. Pastacanada.com members produce pasta made from 100% durum wheat. 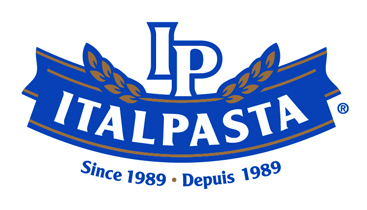 Italpasta Canada, Primo Foods and Grisspasta Products Limited make a wide variety of pasta shapes and sizes and market them across Canada and around the world using Catelli, Italpasta, Primo and other internationally respected brands. Their individual marketing efforts at home and in export markets rely on quality branded Canadian pasta accompanied by pasta sauces, condiments, and other associated products. Pasta lovers around the world demand Canadian durum. The climate and growing conditions in the Canadian prairies are ideal for growing high-protein, low-starch wheat. 100% Canadian pasta delivers top-quality flavour, texture and a golden yellow colour.